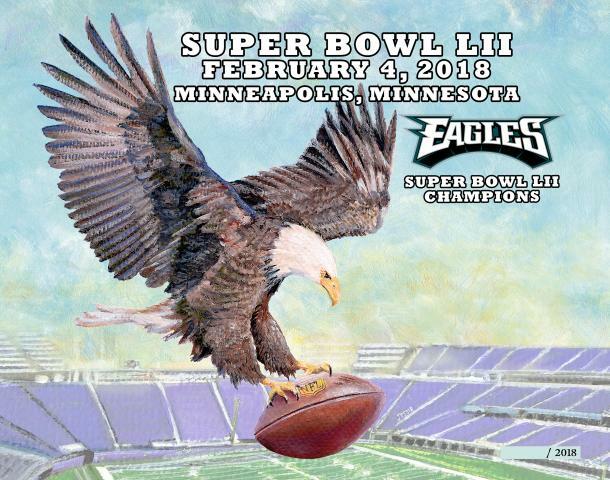 Celebrate the Philadelphia Eagles' first-ever Super Bowl Championship with this beautiful piece of original artwork by the talented Jolene Jessie! 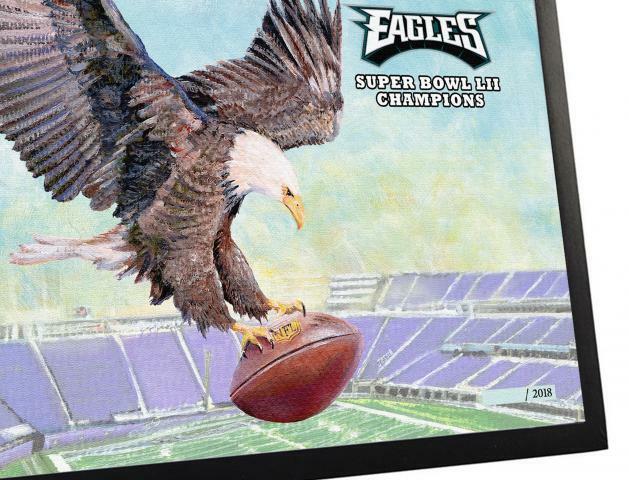 This beautifully framed, 11 x 14 giclee makes the ideal addition to any Eagles fan collection of Championship season memorabilia. 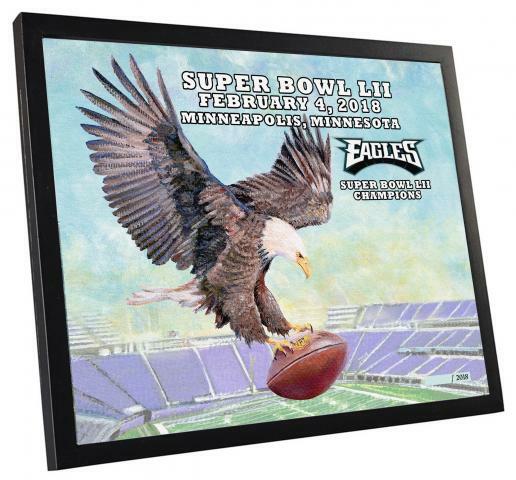 The technology to create this reproduced art results in a high-quality piece that brings the Eagles Super Bowl LII Championship to life. 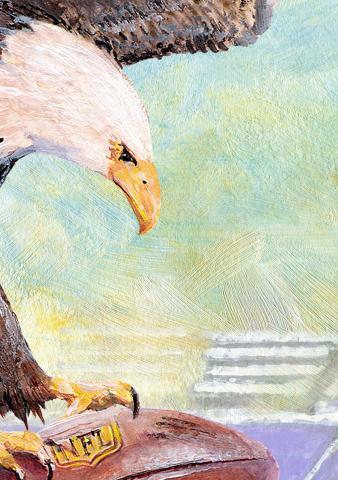 These individually numbered pieces will look great displayed on any wall in your home or office. This is an exclusive item licensed by the NFL. Order yours today before they are gone. Due to the limited nature of this offer we must charge your credit card for the full price immediately upon taking your order. This policy ensures we reserve a framed canvas for you. We will confirm your order by Email. Please allow 4 to 6 weeks for delivery. 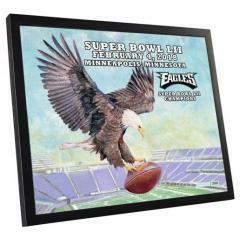 Eagles Super Bowl LII Champs Framed 11 x 14 Canvas Collectible $129.95 Sold Out!